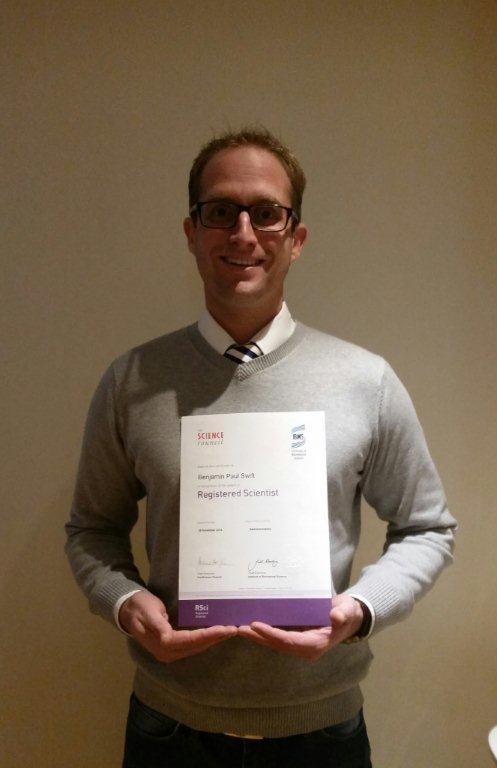 Mortuary and bereavement services manager, Ben Swift, is the first Anatomical Pathology Technologist (APT) to become a Registered Scientist (RSci) in the UK. Ben has over 15 years’ experience as an APT with an extensive working background in forensic, Coronial and hospital post-mortems. Ben said: “I’m very proud to become a Registered Scientist. Professional development is a passion of mine and I actively encourage and support other APT’s to complete and record their own CPD activities. It’s not as hard to do as many think, it’s not all about attending conferences and meetings. Due to the nature of our role, most days we have to think on our feet and adapt using the skills we have. Simple reflective practice would record this and begin to build up evidence.